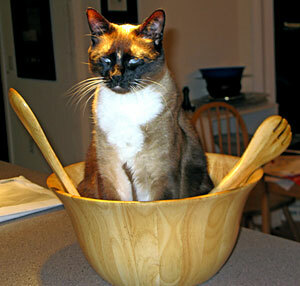 Our kitty, Mr. Magoo, loves salad. We have his favorite recipe for a Classic Dijon Vinaigrette in our Recipes section of the site. Musette Dijon is our best-selling Dijon and we recommend it highly. Regularly it’s $6.25, but it’s on sale through the end of January 2011 for just $5.00.